LISA PICOTTE began acting at the age of eight as a member of the nationally-acclaimed Rainbow Company Children's Theatre Ensemble in Las Vegas, NV. She was required to work on every show in the five-show season in some capacity, either onstage or behind the scenes. While she was a member, Rainbow Company was awarded the title Best Children's Theatre in the United States two years in a row. By the time she left the company, Lisa was a veteran of over 40 productions, including drama, comedy and musical theatre. Lisa went on to study at Los Angeles City College's Theatre Academy and began working professionally at the age of 18. Lisa's film and television credits include regular and recurring roles on such series as His and Hers, Married with Children, Great Scott!, Days of Our Lives, General Hospital, and Dangerous Women, as well as guest roles on such series as The Closer, ER, The X-Files, The Fighting Fitzgeralds, Titus, Step by Step, Wings and Howe High. Film credits include roles in the soon-to-be-released Jekyll, The Earth vs. The Spider, Enchanted, Strange Days and The Homestead. You may have seen her running down a grocery store aisle, scooping up packages of Quilted Northern Bathroom Tissue or serving up bowls of Dreyers Grand Ice Cream, as she has done dozens of national television commercials, including such other products as Western Union, Pizza Hut, Enterprise Rent-a-Car, Nutri-system, and Zings, among others. 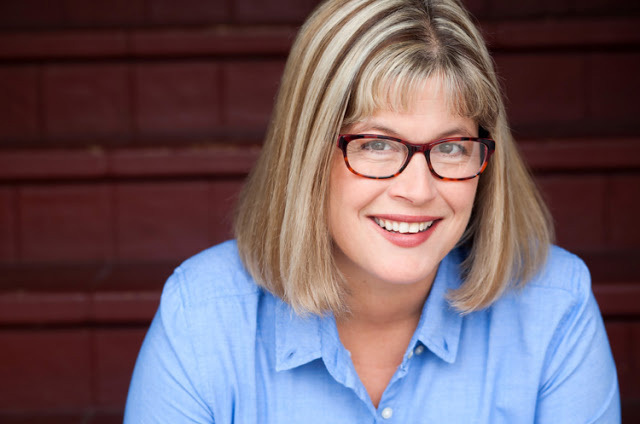 Lisa is the recipient of several critics' awards and nominations for her extensive work in Los Angeles legit and musical theatre, including such productions as Big, Merrily We Roll Along, both at West Coast Ensemble and Reprise! (LA Weekly Award nomination for Best Supporting Actress), Company (Garland and Dramalogue Awards), A Quarrel of Sparrows (LA Weekly Award nominee), Music From Down the Hill (Dramalogue Award), and Quilters (Dramalogue Award), among many others. In addition to West Coast Ensemble, Lisa is also a member of the Musical Theatre Guild, having appeared in many of their productions, including I Can Get It For You Wholesale, Parade, Allegro, A Tree Grows in Brooklyn and Louisiana Purchase. Lisa received a scholarship and studied Shakespeare at London's Royal National Theatre, and is currently writing a screenplay based on her recently-published short story Casino Eyes. She currently lives in Los Angeles, and in her free time, like her actor-husband David Kaufman, is obsessed with games -- hearts, mah jong, Yahtzee, Michigan Rummy -- whatever -- it doesn't matter, as long as she wins! Her proudest achievement is being mother to daughter Gracie and son Henry Oliver. DAVID KAUFMAN began acting at a young age in his hometown of St. Louis, Missouri, when his kindergarten teacher handed him the plum lead role of Santa Claus in the class Christmas play. He is the oldest of two brothers, a sister, a step-brother and a step-sister. At 18, he set out from St. Louis to attend UCLA's Department of Theatre Arts. Since that time, he has studied and worked extensively as a professional actor in films and television, including regular roles on such television series as Down to Earth (TBS), Dweebs (CBS) and Presidio Med (CBS); guest-starring roles on such series as The Mentalist, Lie To Me, The Closer, ER, Stargate: SG-1, The West Wing and CSI; and feature films including Prom Night, Pearl Harbor, Enchanted, and Role of a Lifetime. Other film work includes HBO's From the Earth to the Moon (produced by Tom Hanks), The Last Prostitute (starring with Sonia Braga), and Kids Like These (starring with Tyne Daly and the late Richard Crenna). He has done dozens of national commercials, including memorable campaigns for AT&T (starring with the late Ray Walston), Pepsi (starring with Cindy Crawford), Blockbuster (starring with Magic Johnson), as well as spots for Honda, Maxwell House, Dentyne, Chili's, Midas, Wendy's, Twiglets and British Petroleum, among others. David has lent his voice to several well-known animated series, including the title role in Nickelodeon's Danny Phantom, Disney's The Buzz on Maggie, Superman: The Animated Series and Steven Spielberg presents Freakazoid!, as well as filling in for Michael J. Fox in both the roles of Marty McFly on Back to the Future: The Animated Series and Stuart Little in HBO's Stuart Little: The Animated Series. Currently, he plays The Human Torch in The Avengers for Disney XD. David has an extensive list of stage credits and has been a member of the West Coast Ensemble in Los Angeles for close to 20 years, performing such varied roles as Prosecutor Gilmer in To Kill A Mockingbird, George Lewis in Kaufman and Hart's Once in a Lifetime, Orestes in Electra, Tyler in Sondheim and Furth's Merrily We Roll Along, Ronnie Shaughnessy in The House of Blue Leaves, Callimaco in Machiavelli's The Mandrake and Eugene Jerome in Neil Simon's Biloxi Blues, as well as Paul Palmer in James Duff's A Quarrel of Sparrows at The Court Theatre in Los Angeles and Stewie in the premiere of Richard Greenberg's Night and Her Stars at South Coast Repertory. 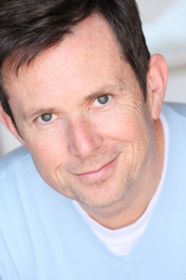 His stage work has earned him several Los Angeles area critics' awards and nominations. In his leisure time he loves to travel, read and play games - he is an avid poker player. He lives in Los Angeles with his wife, actress Lisa Picotte, and their daughter Grace and son Henry Oliver.